Hello Everyone! I plan to start a few new features on the blog this year and one of them will be to help readers solve their design dilemmas. In order to do that we need to hear from you. 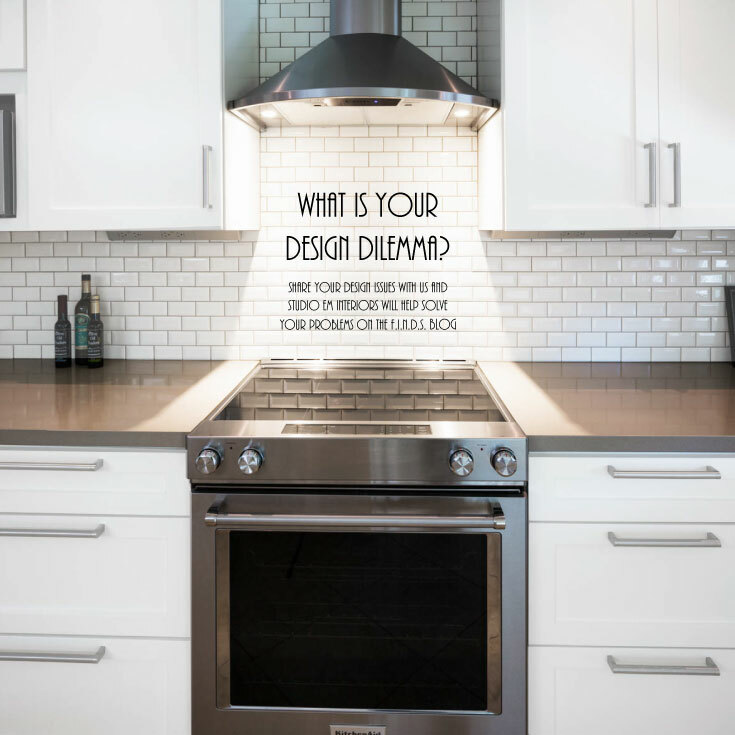 What design problems do you face in your home? What have you been struggling with to make look fantastic, but just can’t seem to get it right? Are you struggling with color, accessorizing your home, accents, the layout of your furniture? I can help. So please share with us your small design dilemmas and we will answer questions and share tips on how you can fix these things in your own home. Feel free to comment with your design dilemmas directly on this post or email them to FINDS@studioeminteriors.com. I look forward to helping more of my readers make their homes fantastic again! « Can you believe it’s 2017? !